“Tracey and Leslie…what an Amazing Team of Realtors! Your Boutique Style approach to Real Estate is refreshing. Specializing in personal service in every detail made our move a very enjoyable experience. Extremely knowledgeable in the housing market and very attentive to what our wants and needs were in finding the perfect home as well as selling our home. Thank you for going above and beyond what is expected of Real Estate Agents. “We are writing on behalf of Tracey Clay and Leslie Rudder with Gulf Coast Real Estate Services LLC. We have had the opportunity to work with Tracey on three real estate transactions and also work with Leslie on two of those three transactions. 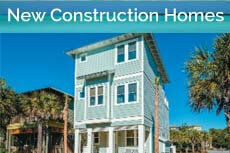 We first met Tracey in 2012 when we purchased a home in the Villa Lago development within SanDestin. We worked with Tracey and the builder on everything starting with picking out the lot, constant communications throughout the construction phase and closing on the property. We were doing this long distance from Atlanta, and Tracey was terrific in making the experience as seamless as possible. In 2014, we decided to get a larger place in SanDestin. We immediately turned to Tracey to work with us on the purchase of a new home in the Genoa development of SanDestin and the sale of the house in Villa Lago. Tracey introduced my wife and I to her partner, Leslie Rudder, who would also be working in tandem with Tracey on our purchase and sale. Again, the experience could not have been more positive. We received excellent advise on negotiating the purchase and competitively pricing the home to be sold. They worked diligently on the sale with weekly open houses and frequent showings. We felt confident in their knowledge of the market and relied heavily on their advice and guidance. They are true professionals with great integrity. They always had our best interests at heart and it was a great pleasure working with them. We highly recommend Tracey and Leslie”.